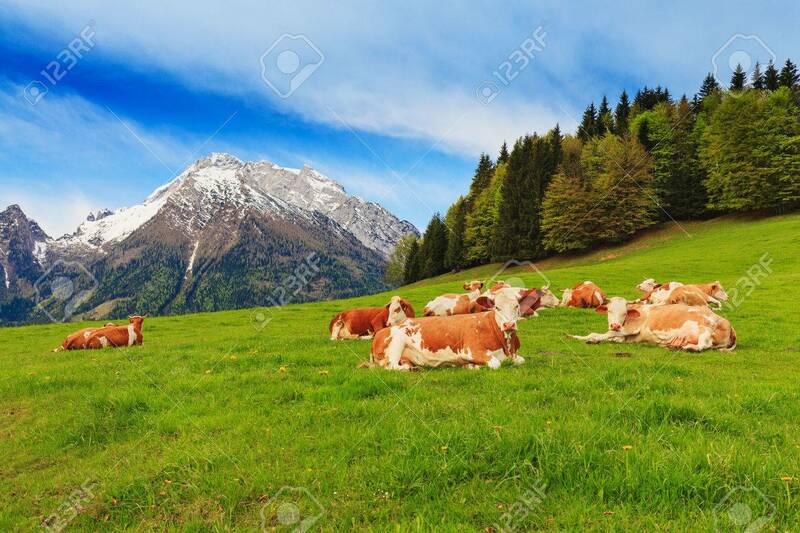 Herd Of Cows Graze In A Pasture In The Alps. Snow-capped Peaks In The Background. Фотография, картинки, изображения и сток-фотография без роялти. Image 57915445. Фото со стока - Herd of cows graze in a pasture in the Alps. Snow-capped peaks in the background. Herd of cows graze in a pasture in the Alps. Snow-capped peaks in the background.